Thought i'd start the thread for everyone to discuss (not argue):-P these gigs. According to Twitter a line is already forming outside the Apollo. Promite wrote: According to Twitter a line is already forming outside the Apollo. Crazy lol, I'm glad I've got seating for Thursday! Is there limited seating at the Hammersmith Apollo? Prescott wrote: Is there limited seating at the Hammersmith Apollo? The stalls are all GA, Circle is seating and there is a standing at the back of the circle with a limited view. The latter are not considered a sellable option so the concerts are considered sold out. Hello Karoline. I hope you have a nice trip over Did you post on vgdebatt before btw? Thanks, I'm sure I will! I used to a few years ago for a period, how did you know? How about the Glamberts agree to stand stage right so the real queen fans can stand stage left infront of Brian? And I couldn't care less about people queing coz I'll be pushing my way to the front if there are a load of Glamberts in the way. Minister! 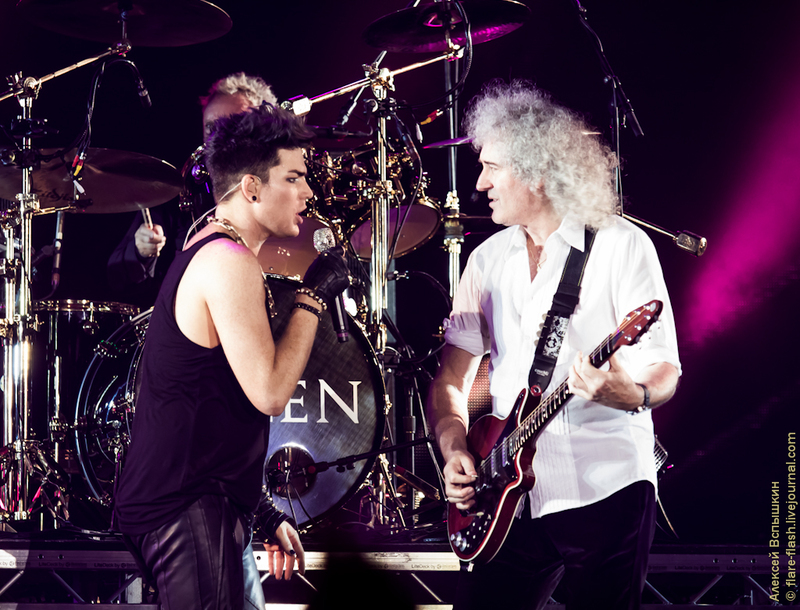 wrote: How about the Glamberts agree to stand stage right so the real queen fans can stand stage left infront of Brian? And I couldn't care less about people queing coz I'll be pushing my way to the front if there are a load of Glamberts in the way. So you're one of those annoying people who show no respect for those who care to queue up? I do understand that it's frustrating that Adam Lambert have fans who queue the whole day. But push your way through and possibly take someone elses place (who have been there long time before you) is just very rude. Everytime drunk people have tried do that to me they've been throwed out though, fair enough. I do agree it would be great if they choose stage left though, as they brobably doesn't care for Brian's side. I know beacause I were there too. And you called yourself Karoline. May I add you on twitter? Another_Roger wrote: I know beacause I were there too. And you called yourself Karoline. May I add you on twitter? Karamouche wrote: So you're one of those annoying people who show no respect for those who care to queue up? No I'm not usually but this could be the last time I get to see Brian and Roger play together and I will not be happy if I arrive and there are 2000 middle aged women (who have queued since 6am) at the front blocking my view. I totally get that... But unfortunetaly that's what you get if you don't queue..
Aren't the Glamberts more likely to be young teenage girls rather than middle aged women? Either way, if you wanna get to the front, queue from 6am like everyone else.